AIGA, the professional association for design, believes designers serve a critical role as communicators, educators and innovators. AIGA sets the national agenda for the role of design in economic, social, political, cultural and creative contexts. What we do Through chapters and national programs, AIGA works to: Inform about best practices, standards for ethical conduct and professional expertise Communicate design’s importance to the public and business leaders about the power of design Inspire through articles, online galleries, profiles, videos and exhibitions Represent the profession through a network of chapters and student groups Stimulate discussion of the industry through events, social media and websites We’re committed to design—and to more than 22,000 members in 66 chapters who create, inspire and appreciate good design. 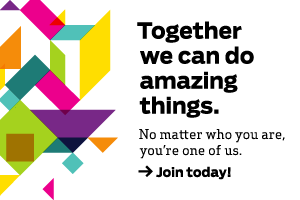 AIGA’s members are the lifeblood of the organization. Who we represent AIGA represents a variety of professions under the umbrella of communication design, ranging from book and type design to interactive design and experience design. We support design professionals, educators and students throughout their careers. We are design. We are AIGA.